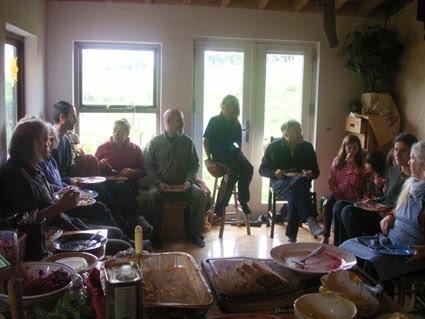 Hello readers, welcome to Glendree Garden Club Blog. It's been 6 months since we started this blog and I hope you're all enjoying reading, looking at pictures and getting some ideas for your garden and your community. 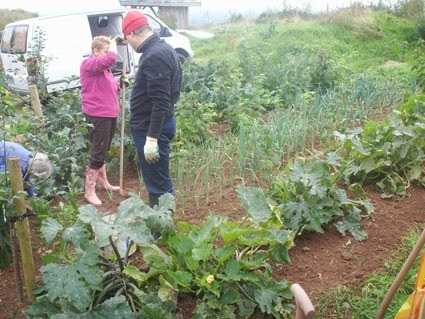 The significantly dry weather was still with us in October and it was a perfect day for digging potatoes for Saul and Damhnait. 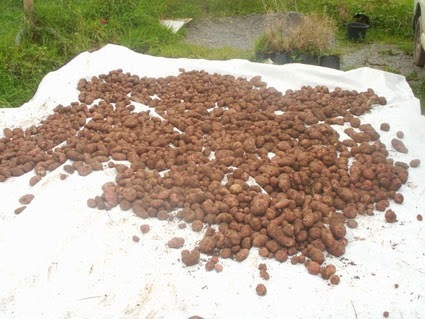 First of all, they wanted us to collect seed pods which were on the actual potato plants. They're the potato fruit and contain seeds inside. But you shouldn't eat them as they're poisonous. 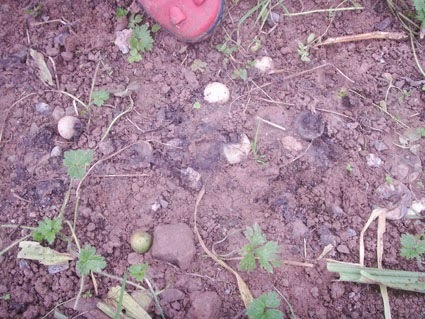 There was a lot of seed pods fallen on the ground. 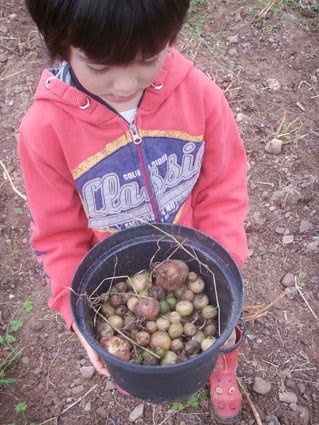 To avoid mixing them up with the potatoes we were going to dig, we picked them all first. It's a pity you can't eat them..
We started working very efficiently as diggers, collectors and carriers! 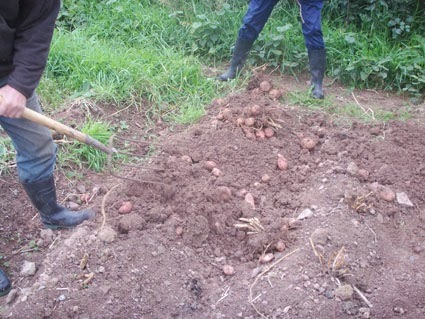 So many potatoes appeared and a lot of them were absolutely huge. According to Saul, there were 3 different varieties of potatoes, Sarpo Mira, Sarpo Axona and Tibet. They're all blight resistant. They'll be drying away on the tarpaulin for a while before storing. 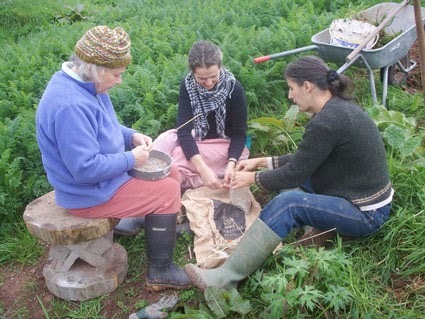 3 ladies are taking rye grains off the stalks. They would never be short for carrots this winter. 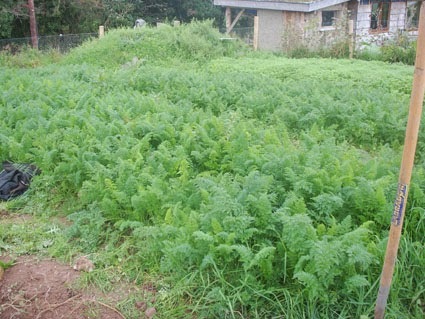 It's just amazing how tasty home grown carrots are. 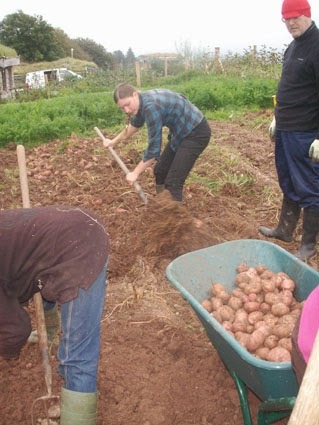 We dug all the potatoes and we made the soil nice and flat so that it'd be ready for the planting green manure such as rye, vetch, phacelia etc. 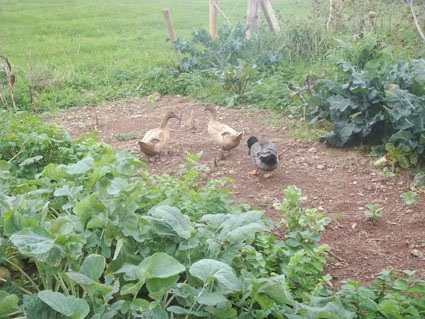 Now we're in the other patch of vegetable garden for weeding. Saul and Damhnait keep 3 ducks and they were around in the garden with us. When I found a huge slug, I threw it out and the ducks ran over and got it in a second! 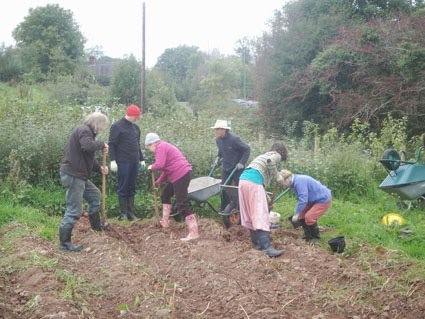 In the mean time, a few men were on the other side of the field, turning the compost. 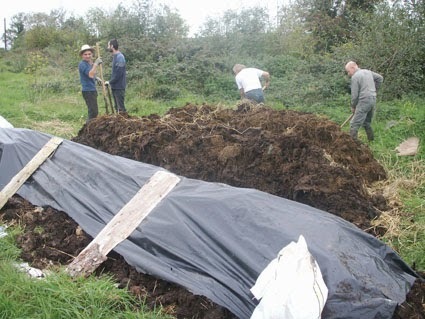 It's essential to have good compost for your garden through the year and if you're living in the country side, it shouldn't be difficult to find a supplier. While we were working outside, the kids were cooking soup in the kitchen for us. Well done to them all, the soup was delicious! We have only one garden club to go this year now. Hope to see you then.